With the NHL regular season winding down, NHL Analyst Barry Melrose joined Sportscene with Steve Russell to talk some hockey. 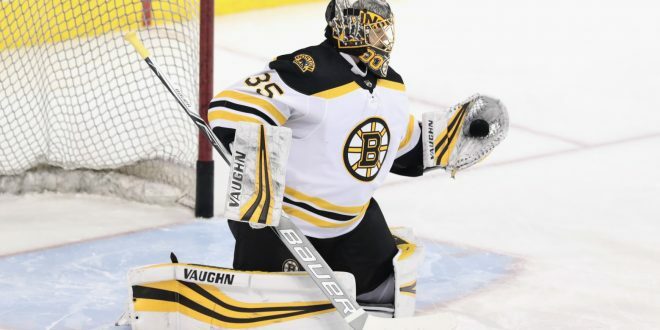 Melrose’s discussion ranged from talking about the team he believes will make a surprise run at the Stanley Cup to the importance of a solid goalie in the postseason. Melrose believes that no teams are safe when it’s the playoffs. The analyst said that he could easily see a lower seeded team making a deep run. He sighted that seven and eight seeds winning the cup is no irregularity. One team that Melrose believes can cause havoc in the postseason is San Jose. The Sharks are getting hot at the right time as they have won eight out of their last ten. Melrose says that he would not be surprised if San Jose won the Stanley Cup. Lightning Out of the East? The Tampa Bay Lightning have been dominant all season long as they have held the top spot in the Eastern Conference from start to finish. 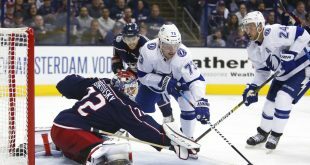 Melrose thinks the moves Tampa Bay made at the deadline will help them in the playoffs but thinks that lack of experience will be their Achilles heel. 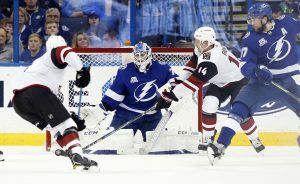 The Lightning have excelled defensively in the regular season and that is why they are Melrose’s pick to represent the eastern conference in the Stanley Cup. That could be said about the Boston Bruins as they struggled out of the gates but look to be one of the most dangerous teams to face in the postseason. The Bruins are currently the 2nd seed in the eastern conference behind Tampa Bay. Melrose says that the reason behind Boston’s late season bloom was because of their youth. The regular season will come to a close on April 7th. The craziness of the NHL playoffs begin on April 11th.